There are many different feet and legs used on antique furniture throughout the centuries and below is examples of the different styles used. 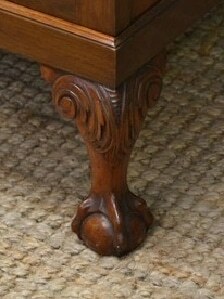 A bun foot can often be seen on Victorian and sometimes earlier pieces of antique furniture. The bun foot is a turned bulbous shaped foot that resembles a slightly flattened ball shape or sometimes is bulbous in shape with a smaller turned section at the bottom. 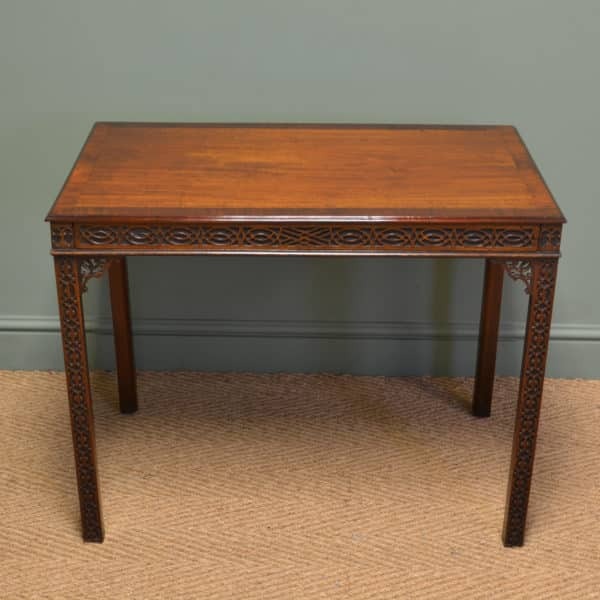 It originally appeared in William and Mary furniture but it was the most popular foot in the Victorian furniture but can also be seen in some regency and William IV furniture. 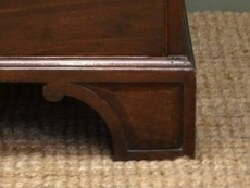 A bracket foot on antique furniture is a simple designed foot, shaped like a bracket. It has a joined straight corner edge and curved inner edges and was often used on Georgian furniture like chest of drawers. The bracket foot has been in existence since approximately the 1680’s and was one of the main types of feet used throughout the Georgian period and was reproduced in the Edwardian period. The bracket foot is mainly a decorative foot as the main support is usually a block behind the foot that takes most of the weight. Bracket feet are usually plain to look at but some have more decoration like some are scrolled in shape. 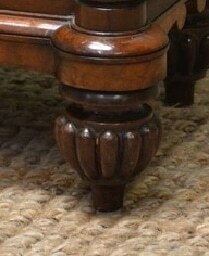 A ball and claw foot on antique furniture is a decorative foot carved in the design of a claw holding onto a ball. The claw design is from a bird or eagle claw and this can be seen on many antique chairs and bookcases. 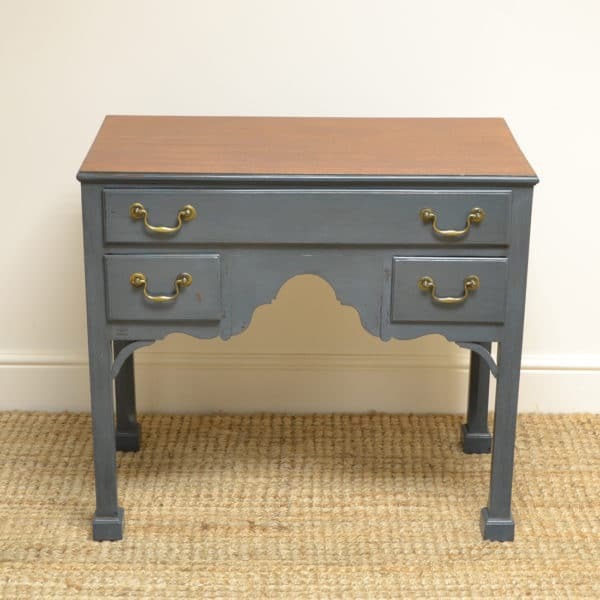 This type of foot was mainly used in the Edwardian period onwards but was copied from earlier period furniture when animal features were often used in decorating furniture. A barley twist leg is a type of turning in the form of a spiral twist. This form of turning was used in the late 17th century but became very fashionable in the late Victorian and Edwardian periods. It was used on column supports, as table legs and was often used on oak antique furniture. 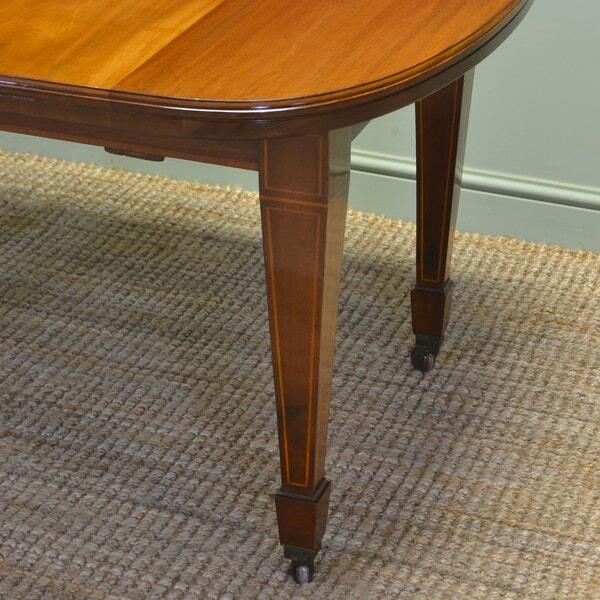 A sabre leg is a chair leg that was often used in the Regency period and it is tapered and out swept in shape. 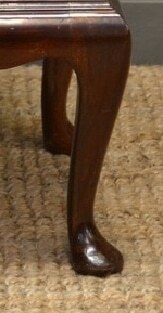 A cabriole leg is a curved leg that is out swept and usually finishes with a pad foot. 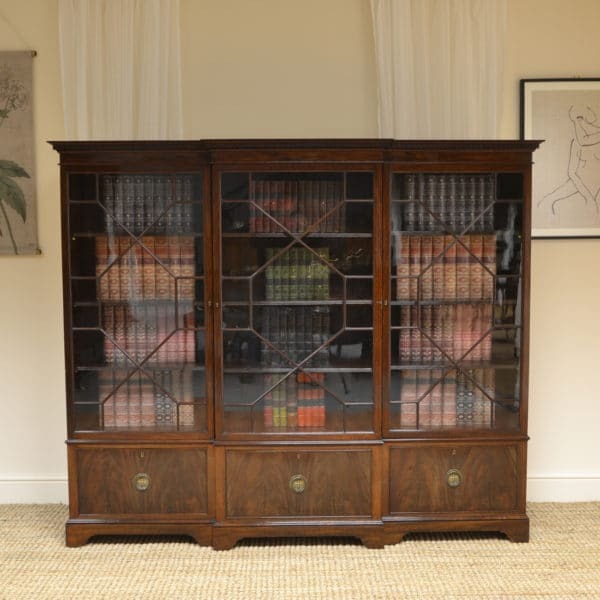 Originally seen on Queen Anne furniture, but heavily reproduced in the Edwardian period. A Spade foot with tapering leg is wider at the top and tapers down until it hits the foot and then the same shape appears but in a smaller taper, this will sit on a castor. This design was popular on Edwardian Tables and chairs and can be seen with simple inlay decoration.